West End Village is a small town located right on the beach in the western tip of the Island of Roatan. This is without doubt the area that offers the highest concentration of tourism related services in all of the Bay Islands of Honduras. West End Village is a hub where you will find many different dive shops. Restaurants, bars and even a couple of night clubs is you are all here. The village stenches out along the beach for a couple of miles. It offers much diversity, from basic back packer hostels to boutique bed and breakfast inns. From beachfront properties to small hotels located on the small hill just behind the first line of properties along the beach. The same can be said for restaurants, you can find gourmet restaurants next to basic, very affordable eateries. Beach bars are waiting for you with an ice cold beer. Competition between the different establishments is fierce. Many newcomers to the island fall in love with West End Village. Then they decide on opening a business here and then find that success can be somewhat elusive. This prompts them to sell out and move on. Because of this, having an up to date list of restaurants and bars in West End is difficult. This list is a full time chore that is hard to keep up with! The main road is between the beach and the different properties. This allows you to have a clear and easy access to the beaches and docks. Some of the more iconic establishments actually have built up over the water. Such as Fosters and Eagle Rays, making for a unique setting in the West End. Regardless of whether you are staying in West End Village or not, you should not miss the opportunity to visit it during your Roatan vacation. You will find a unique atmosphere that is worth experiencing. 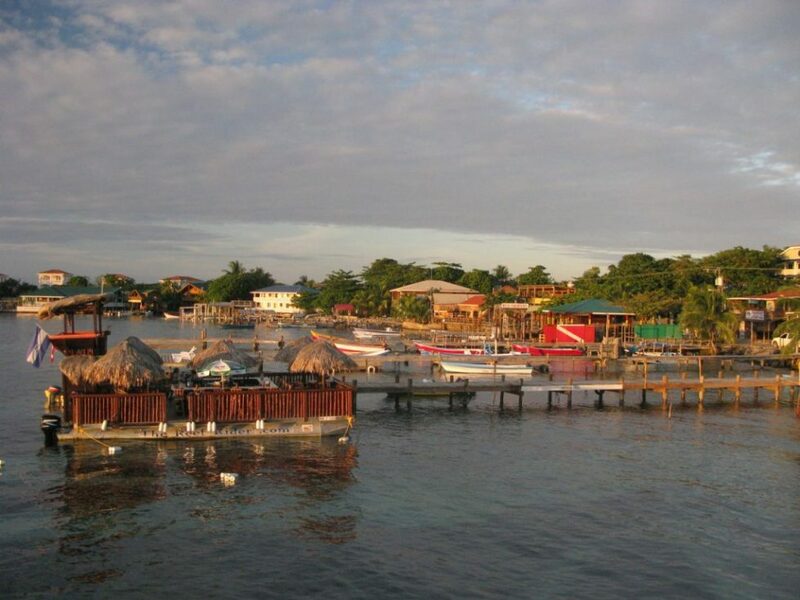 Some of the best restaurants in Roatan are in this area. I found an Oasis in Paradise that offered superb food just outside of West End on the road to West Bay.